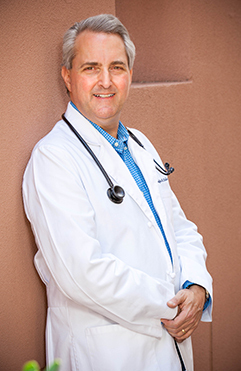 Born in Michigan, but raised in the Scottsdale/Paradise Valley area, Dr. Lakin earned his undergraduate degree at Arizona State University in 1983. Graduating first in his class of 6,000 as a Philosophy major in the Honor’s Program, he was the recipient of the Mouer Award for outstanding scholarship. He was the first person in the history of ASU to earn a coveted spot at The Johns Hopkins University School of Medicine in Baltimore, Maryland, entering in the fall of 1983. Originally intending to become a medical research scientist, Dr. Lakin developed a greater interest in patient care. 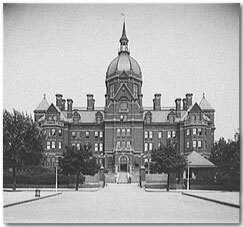 Inspired by his father, Dr. Mervyn Lakin and Sir William Osler, the founder of modern internal medicine and first Chief of Medicine at The Johns Hopkins Hospital, he focused on clinical medicine. 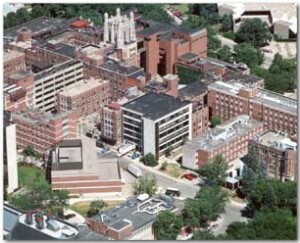 After completing his medical school training from Hopkins in 1987, Dr. Lakin performed his Internship and Residency in Internal medicine at the University of Iowa’s Hospitals and Clinics, among the premier Internal Medicine programs in the country. 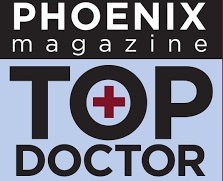 Dr. Lakin excelled to the highest levels of clinical scholarship, achieving among the highest scores in the country on his Internal Medicine Board Examinations. With his training complete, Dr. Lakin joined his father in practice in 1990. Shortly thereafter, Dr. Lakin senior retired. Now, for 28 years, Dr. Douglas Lakin continues to practice in the tradition of his excellent training, and provides the quality of patient care established by his father before him. Securely, encrypted email: logon to our MyHealthRecord.com.